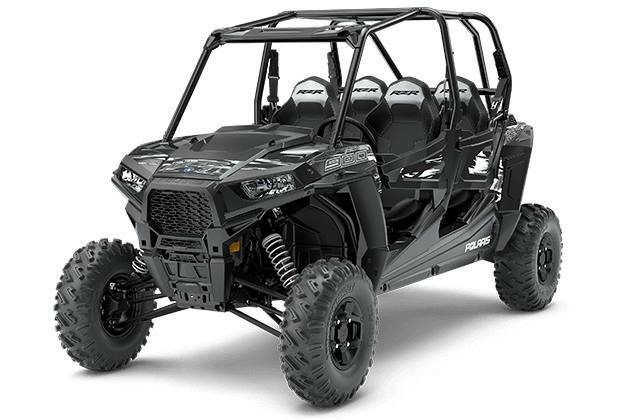 Share the off-road experience with friends and family in the RZR® S4 900. Featuring proven power and legendary 60" RZR S ride and handling, this is the ultimate 4-seat RZR for the trail. 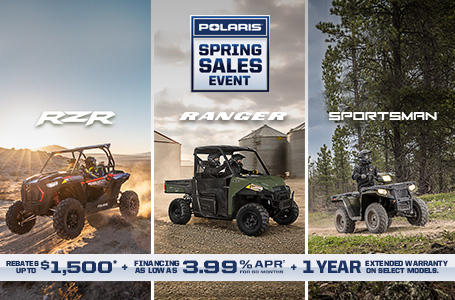 The 75 HP ProStar® 900 engine delivers proven power to the trail. The trail-friendly Low gear lets you put it to work with optimal power from 0 to 40+ mph, without needing to shift into High gear. The ample power and trail-friendly Low gear allows the RZR S4 900 to deliver pure excitement for you and your passengers as you rip from corner to corner on the trail. RZR S dual A-arm suspension is legendary in its ability to balance agile 60" wide sport performance with a smooth ride for the trail. The smooth ride starts with suspension travel of 12.25" in the front and 13.2" in the rear for a plush ride. An extra-long 106.5" wheelbase in the 4-seat model gives you a stable foundation, while the tall 12.5" ground clearance keeps you above the rocks and other obstacles. And the RZR S4 900 comes with FOX® Performance Series - 2.0 Podium X shocks, which are purpose tuned to deliver a smooth ride for you and your passengers. The RZR S4 900 doesn't stop with power, suspension and agility. It's also engineered for all day comfort on the trail. The cab features bolstered seats with thin-film material to keep occupants drier, adjustable tilt steering, space-optimized foot rests, rear passenger knee pads and grab bar, and factory-installed quarter doors that keep the occupants planted and secure. And when the ride is finally over, there are convenient removable floor drains that allow you to wash out debris and mud quickly and easily.